Fancy a BBQ party or a camping ground feast? A gas grill is a killer to senior party hosts and campers. While cooking outdoors can be tough and boring, a good portable gas grill is a game changer. Like magic, your outdoor meal will be a fresh and fun treat to involve everyone. 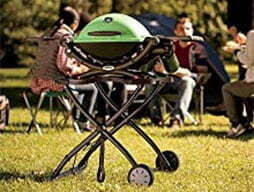 A gas grill, or propane grill, or burner, is a portable griller that uses propane gas for fresh and quick cook outdoors. Compared to charcoal grills, propane grills are easy to operate and handy to control temperature (just twist the knobs!). 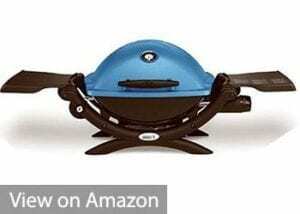 Winner and one of the most popular gas grill on Amazon. The Weber 46510001 Spirit E310 is a 3-burner grill, delivering 32,000BTU/h heat value. The electronic crossover igniter is a killer. With a single push of the button, the burners heat up quickly. The grill gets really hot (up to 550F-600F) even in winter, and the temperature will go down to 400F within a couple of minutes if you switch down the knob. Great temperature control. The new Spirit E310 model features a convenient front control panel and 2 full-use stainless steel tables for food platters and preparation. There is enough room to cook a 20-pound turkey or roast meats and vegetables at the same time. We love the fat drip system, a thoughtful designed to eliminate the mess. Another thoughtful feature is the gas gauge, it is convenient to know how much LG left in the gas bottle. As a $500 grill, we also like it premium durable porcelain-enameled finish. It is so well made and beautiful when assembled together (takes up a really small footprint). And the assembly is amazingly easy. All you need is to get a grill cover, and a Weber cover will do. The balanced performance earns Weber 46510001 Spirit E310 five stars. Fancy a truly portable and sturdy oven for the camp cook? The Camp Chef Outdoor Camp Oven is an angel. It’s just like a regular sized kitchen oven. Amazingly the 2-burner oven gets hot quickly on all sides. For biscuits at about 350F for ten minutes it gets very hot on all sides. There’s a built-in thermometer. To avoid overheating, just keep the season in mind, you can set the heat-control dial to maintain the temperature in a range of about 200F to 500F. Weighing 21.9lbs, the Camp Chef oven is easy to carry outside with convenient carry handles and cook on a picnic bench. 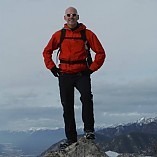 It’s a great little camp stove and oven for all weather cooking, and you can expect it to last for years. In addition, the Camp Chef Outdoor Camp Oven features a folding lid provides a three-sided windscreen. It is useful in the breeze, yet not recommended to use in strong winds. A fantastic portable oven for everyday use in your holidays. 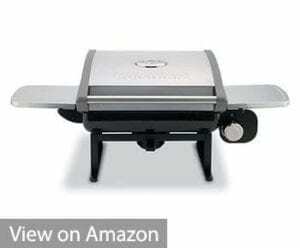 If you are looking for a stylish portable propane grill, the Weber 51080001 Q1200 Liquid Propane Grill is our first recommendation. Its unique colorful shroud and stand design are very capturing. This portable gas grill is perfect for apartment balconies or patios and compact enough to travel with on road trips and camping trips. With Weber’s 6557 Q Portable Cart, the combo is even more stylish and convenient. When removed from the foldable portable cart, the Q1200 sits perfectly on a tabletop, on a camping ground or at the beach. Besides the design, the Weber Q1200 grill uses sturdy quality material: cast aluminum lid, durable porcelain-enameled cast iron grate. The burner tubes are made of a singular piece of steel with no welds, making them stronger and more resistant to rust and burn-through. The burner valve has infinite control settings, so you can fine-tune the heat levels. True Weber quality. As for the cooking experience, the Weber Q1200 grill is easy to clean up and requires very low maintenance. We are amazed at how easy, simple, straightforward the little grill is to simply turn on and cook. It heats up quickly, maintains a consistent temperature. The only complain is its lowest flame: not quite low enough to be a ‘keep warm’ setting. A great grill for the value. The Char-Broil Quickset 3-Burner Gas Grill is a good budget grill choice. This grill that features 3 burners that deliver 36,000 BTU’s of heat (heats up very fast) and has 545 square inches of the total cooking surface, with built-in temperature gauge. The cooking area design is great: a raised 174 square inch secondary cooking area — great for slow cooking or keeping food warm. It is convenient to manage food at different temperature and time. 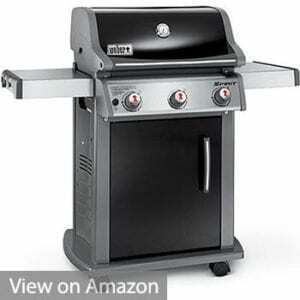 The Char-Broil Quickset Grill features fast and easy assembly. 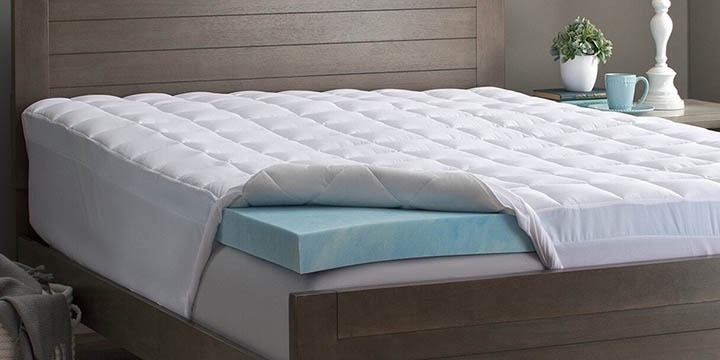 It is very lightweight and takes up very little space. Also, it seems to consume LP a bit slower than average gas grills on market. Another bonus is that its replacement parts seem to be relatively inexpensive. In conclusion, it is easy for the wallet, and decent for the price. This is the one we would like to recommend especially for trailer and RV use. The Camco 57305 Olympian 5500 comes with a mounting bracket used to hang the grill from the side of the RV or trailer (if there’s a preinstalled mounting rail on your car). 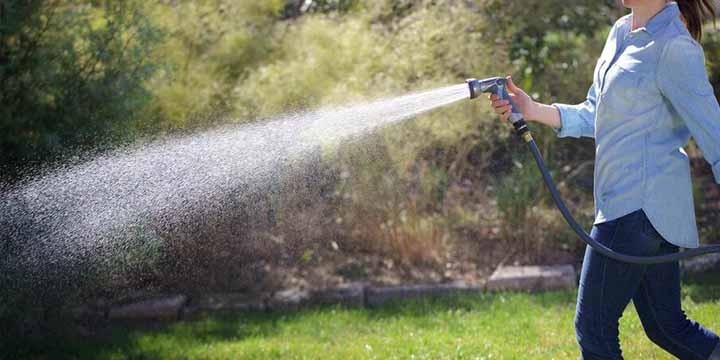 It also includes a quick-connect hose and valve to use the low-pressure propane supply on an RV or trailer that has a built-in low-pressure quick-connect propane connection. Regarding the heating and cooking, the Camco Olympian 5500 Grill works adequately as a portable trailer grill. It gets hot fast and can go to 700F with no problem. The flame control of seems pretty effective. As there’s no effective grease management design, we recommend using a piece of aluminum foil on top of the cast iron drip plate which makes cleaning a snap. 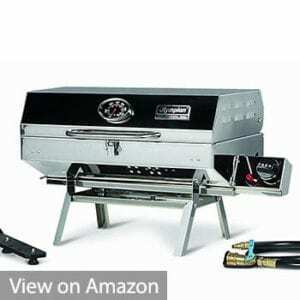 Overall, it is an affordable quality grill for RV/trailer. How about season your ribs and turkey with smoking flavor? The Masterbuilt Black Propane Smoker is a decent choice. We find it a great entry level smoker for the price. The propane smoker features a 2-door design, making it easy to control temperature. There’s no door seal though, which does allow smoke to escape but it isn’t enough to be a problem. The door latch is adjustable, so a simple tightening of it is all you need. There’s a 1,307 square-inch cooking area (4-chrome cooking racks), enough to cook for 20 people easily. Adding water and wood is pretty handy with its water bowl design. With a 15,400 BTU stainless steel burner, the Masterbuilt Black Propane Smoker heats up quickly and keeps the temperature at 200F-250F (there’s a built-in temperature gauge right in the door). 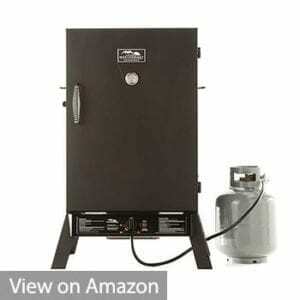 A good quality smoker sold by an excellent company with great customer service. 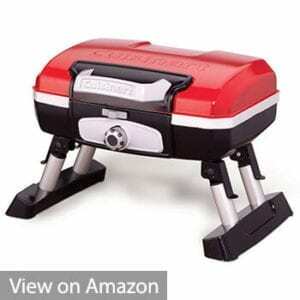 The Coleman Road Trip Propane Portable Grill LXE is a lovely-looking portable grill. The fun grill is super easy to use and clean (porcelain-coated surfaces with removable grease tray). As a portable grill, it’s easy to assemble (10min!) and transport, folds to compact size with large handle and wheels for easy pulling. We are also satisfied with its heating system and igniter. The Coleman Road Trip Propane Portable Grill features perfect flow pressure control system for the steady hat, even in the cold. The ample cooking area can accommodate anything from a quick lunch to a small dinner party. The heat distribution is a bit uneven, but with aluminum foil, it works better. A neat grill for its size and weight. At around $100, the Cuisinart CGG-200 grill is a surprise (or steal) for the price. This little portable tabletop gas grill is compact enough to use on a picnic table but large enough to feed six to eight people. It features 12,000 BTU stainless steel burners, panels that distribute heat evenly, and a standard porcelain enameled cast iron cooking grate. The mini grill heats up to 550F in no time, so by the time you got ingredients together, the grill is good to go. In our first trial, the grill Cuisinart CGG-200 starts up easily and works great as all the flavor and juices get locked inside and leave beautiful grill marks. The only complaint is the cast iron grate is a bit tough to clean. Better get an easy-clean griddle. As it can get to 550F in no time, the minimum heat may be too hot for slow cooking. Anyway, it is a nice addition to small space tabletop use. If you are looking for a burner of modular design, you can’t miss the Camp Chef Explorer 2 Burner Range. This magical burner/stove easily fits optional accessories from Grill Box to Pizza Oven. 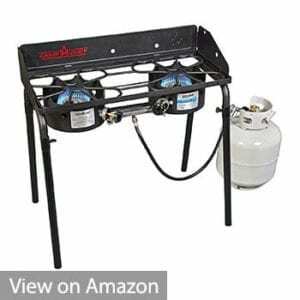 The burner itself is super easy to set up, just heave it out of the box, attach the legs, connect the propane tank and it will lit without any issue. The legs are also easily detached for use on a table, and we find the insulting shield between the burners and tabletop very useful. The Camp Chef Explorer got 2 highly efficient “blue flame” burners with an output of 30,000 BTU each. Its 448 square inches of cooking space is enough for groups of all sizes, plus a 3-sided windscreen. It heats water super fast and can cook a pound of burger in 5 minutes, or boil an entire quart of water in 5 minutes. We really appreciate its good craftsmanship, sturdy build, and expect it to last years. 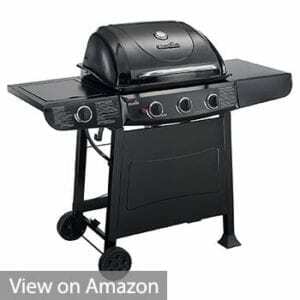 The last but not the least- Cuisinart CGG-180T Petit Gourmet Gas Grill. As an adorable mini grill, it is a compact and high-performance one. The grill heats up immediately and uses far less gas than a full-sized grill. Best of all, with its great portability features, this grill can cook your meals wherever you go. You can cook 8 burgers, 8 steaks, 6-10 chicken breasts, or 4 pounds of fish with it at once. Compact as it is, we find it solid and durable. It’s small in size but cooks as well as a full-size grill. The lid lock works very well to keep the lid secure. Just take it anywhere to simplify your grill. Small Drip Catcher. May Flare up with fatty food. First, let’s take a look at the key factors that decide the quality and performance of a portable gas grill. The first thing to think when choosing a gas grill. We care about both the Assembled Exterior Size (if it fits your backyard) and the Cooking Area Size, which can also be gauged by the number of burgers. Generally, small grills can cook 10 burgers at a time, medium-sized grills can cook around 20 burgers at a party, while larger grills can cook up to 30 burgers for a feast. There are mainly 2 kinds of igniters on market: Electronic Ignition and Battery Powered Push Button. As the later one may require battery replacement regularly and may fail at low battery, most people prefer the more reliable electronic ignition system. Choose the heat value for your cooking style, e.g. if you are not a fast cook, higher heat value may easily cause food overcooked. Heat value is measured in BTU, the higher the heat value is, the faster the grill heats up and the cook will be. Depending on the amount of igniters, the heat value of a propane grill typically ranges from 3,000BTU to 30,000BTU. 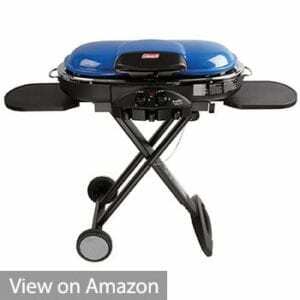 Basically, a portable gas grill consists of only 2 parts: a Grill Pan and a Propane Bottle. Just follow the user manual and most buyers can get it ready to cook within an hour. Some may prefer a built-in gas grill in the house, which requires a professional technician to do the installation. 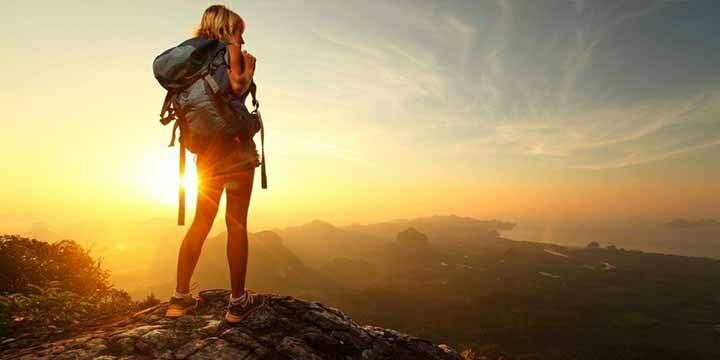 According to our experience, you may consider getting an Extra Gas Bottle. The other accessories include barbecue toolkits, racks, temperature control lids, extra gas elements, and different grill plates, etc. That may be the finish of this report. Here youll find some web pages that we believe you will value, just click the links.